New World Library, 9781608684021, 376pp. Used for thousands of years by indigenous tribes of the Amazon rain forest, the mystical brew ayahuasca is now becoming increasingly popular in the West. 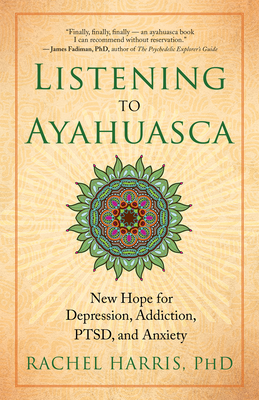 Psychologist Rachel Harris here shares her own healing experiences and draws on her original research (the largest study of ayahuasca use in North America) into the powerful medicine's effects on depression, addiction, PTSD, and anxiety. In this wide-ranging and personal exploration, Harris details ayahuasca's risks and benefits, helping readers clarify their intentions and giving psychotherapists a template for transformative care and healing. Psychologist Rachel Harris, PhD, has been in private practice for thirty-five years. She has received a National Institutes of Health New Investigator's Award, published more than forty scientific studies in peer-reviewed journals, and worked as a psychological consultant to Fortune 500 companies. She lives on an island off the coast of Maine and in the San Francisco Bay Area.